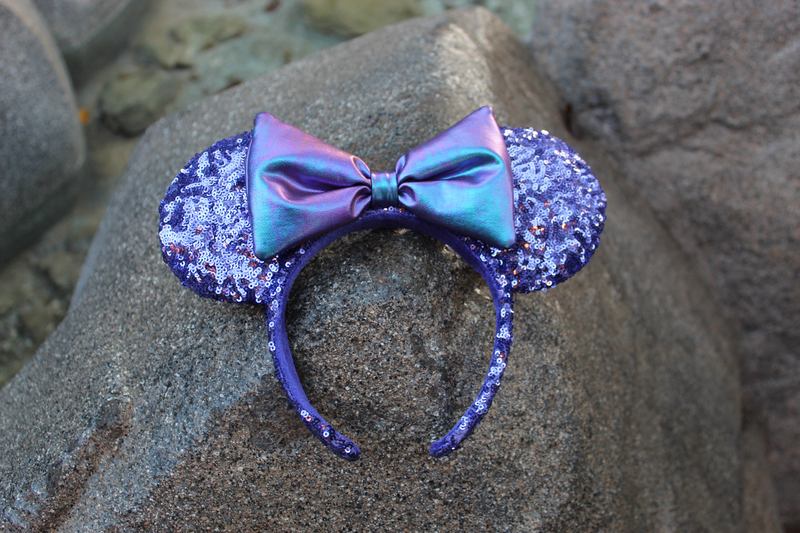 Purple Glove MacaronBlackberry and currant buttercream macaron with a blackberry-currant jam center at Jolly Holiday Bakery Cafe in Disneyland and Clarabelle’s Hand Scooped Ice Cream and Fiddler, Fifer & Practical Cafe in Disney California Adventure. 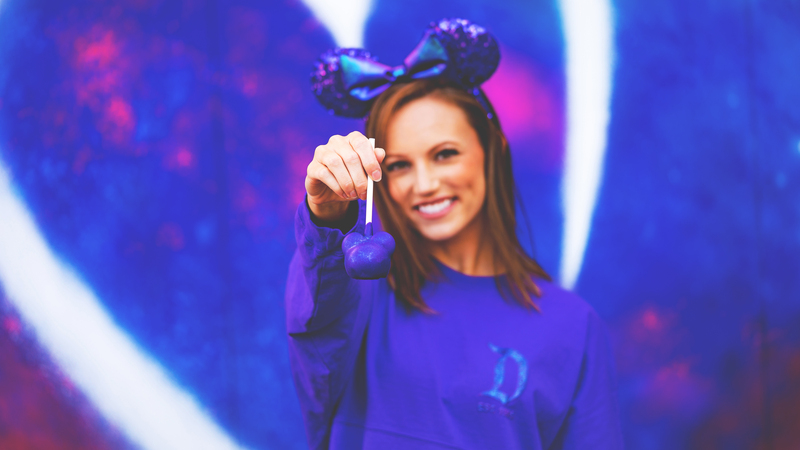 Purple Cake PopChocolate cake pop with dark chocolate Mickey ears dipped in raspberry white chocolate at Candy Palace and Pooh Corner at Disneyland and Trolley Treats in Disney California Adventure. Berry Berry Purple CobblerCobbler with blueberry cream cheese ice cream topped with purple berry drizzle at Lamplight Lounge in Disney California Adventure. Purple RoseBlueberry mousse with blackberry, currant and lemon center at Red Rose Taverne in Disneyland. 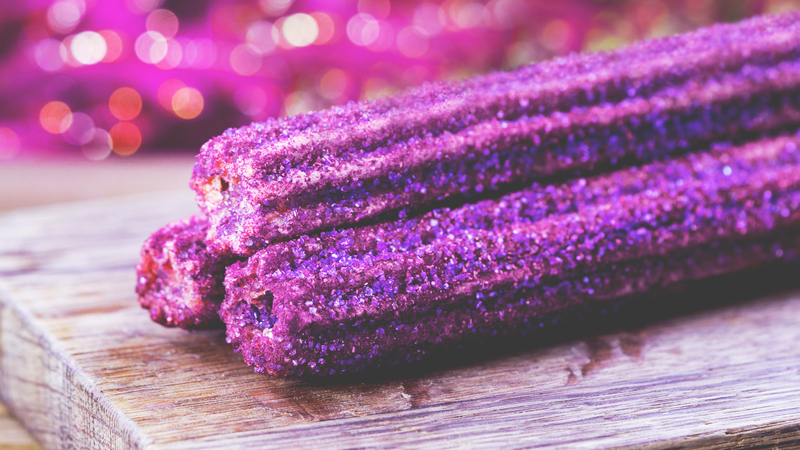 Purple ChurroSugar-coated churro in Critter Country at Disneyland. 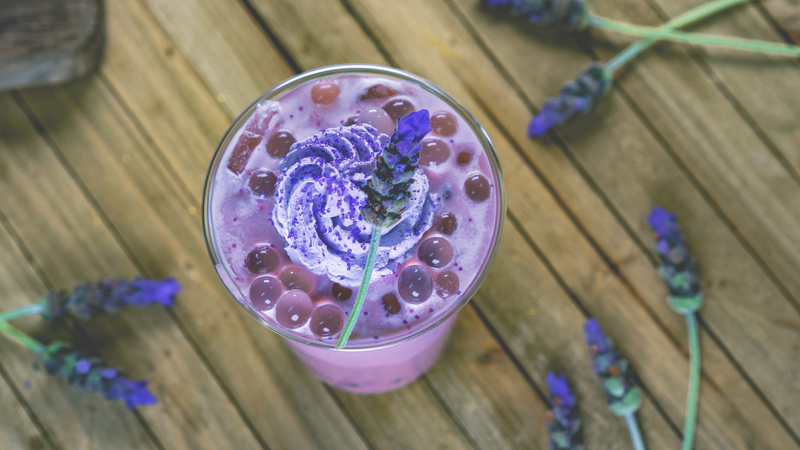 Lavender Milk TeaTea with lemon popping pearls, purple whipped cream and lavender sugar at Red Rose Taverne in Disneyland. 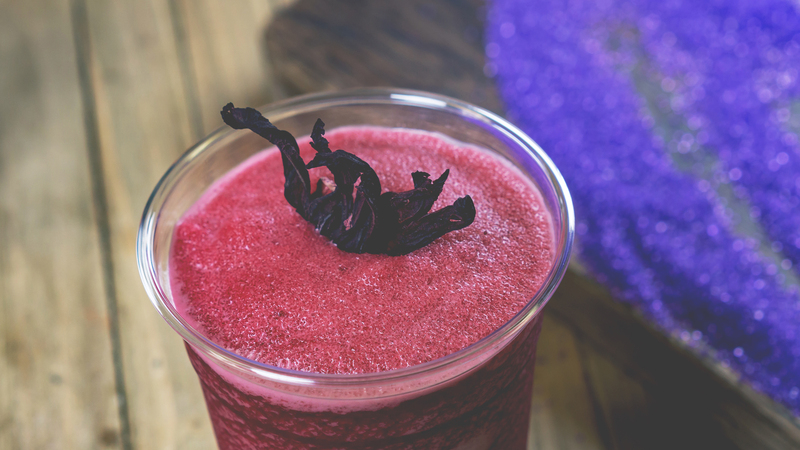 Jamaica FreezeFrozen slush with candied hibiscus flowers at Rancho del Zocalo in Disneyland (available starting Jan. 18). 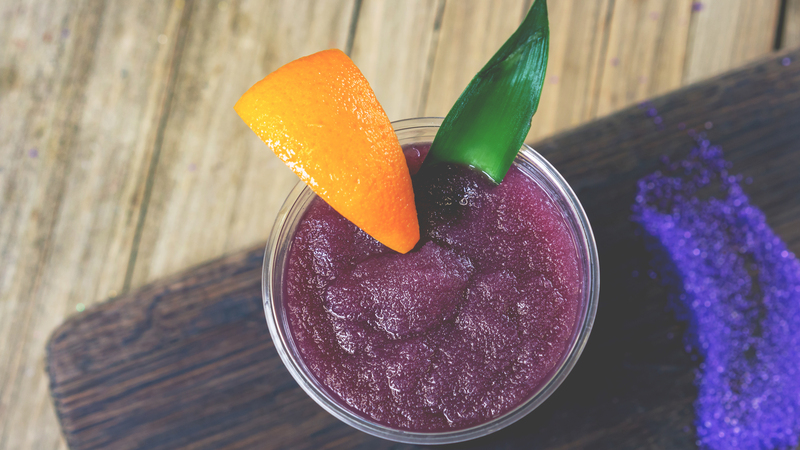 Jungle JulepPineapple, orange, grape and lemon slush at Bengal Barbecue in Disneyland. 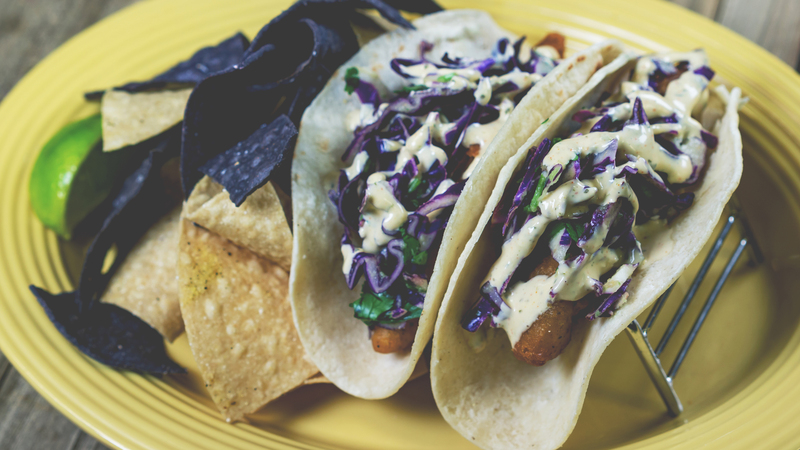 Purple Fish TacosBaja-style fish tacos with purple cabbage slaw and spicy lime aioli served with a side of blue corn chips at Rancho del Zocalo in Disneyland. 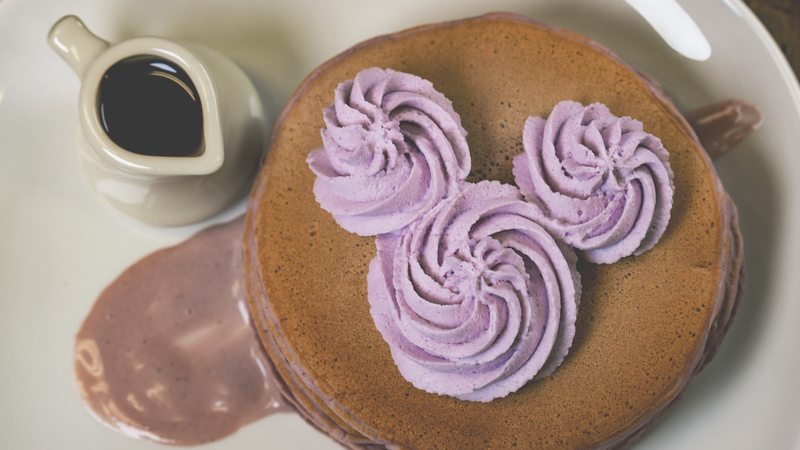 Taro PancakesPancakes with purple Chantilly cream and creme anglaise at River Belle Terrace in Disneyland. August 28, 2018 at 10:27 AM Could the Earl of Sandwich be opening back up near Disneyland?